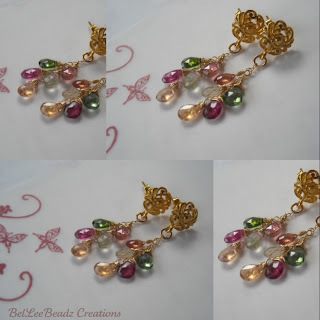 Gorgeous multi coloured tourmaline faceted teardrop shape brios, 14k GF chain, wirework and 24k Gold vermeil earposts. Drop of 4 cm. Part of a set which I'm working on.